RunawayTrainProductions places in 2010 Mark Awards. Nearly 700 entries are judged annually. Roughly 200 Gold, Silver and Bronze winners are selected by more than 100 elite marketers during a rigorous judging process. The awards were announced October 18, 2010 at the Summit in New Orleans by CTAM President and CEO Char Beales “The Mark Awards isn’t just about winning entries and outstanding creative. It’s about the people who work diligently in our industry and crank out the best work year after year”. RunawayTrain Productions snagged a silver award for its work for International Media Distribution’s NCTA Sizzle Reel: 2009 Rebrand Video, and was in good company with other heavy hitters HBO, National Geographic Channel, Discovery Networks and Cox Communications. Due to the increased demand for 3-D content, RunawayTrain Productions in Denver, Colorado has set up a dedicated a 3-D post production environment, enabling real time convergence adjustment with active monitoring. Fresh off a Regional Emmy Award for Art Direction and a special effects Best of Show in the 48 Hour Film Project, Creative Director Brock Sherman sees 3-D as RunawayTrain’s next big growth area. “We’ve had some early success and it seems to be gaining momentum” says Sherman. RunawayTrain purchased Cineform Neo 3D, Dashwood 3d Toolbox, and a Panasonic VIERA® monitor with active glasses allowing the designer, producer, and clients to participate in the process. “We’ve found 3-D is very subjective based on content, proximity to the screen, and individual tolerance, so we see more eyes in the post production process as a good thing”. RunawayTrain Productions specializes in the writing and production of commercials, marketing and sales materials, for print or television, industrial videos and corporate image campaigns as well as multi-media presentations such as flash and web-design, With the talent and ability to handle any project, simple or complex, our team has been entrusted by many organizations around the country to creatively and effectively craft messages that reach their target audience. From digital video to HD, we have the capabilities to deliver your final product in traditional broadcast formats, to an array of non-broadcast electronic platforms. Whatever your choice of communicating with your audience, we are fully capable to meet all of your multi-media needs. 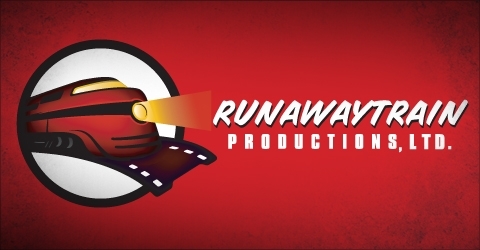 RunawayTrain Productions is an award winning video production company in Denver Colorado that handles all types for video assignments such as Motion Graphics, Animation, Corporate Marketing Videos, Corporate Training and Instruction videos and broadcast commercials for TV and Cable. RunawayTrain’s Creative Director, Brock Sherman won a Regional Emmy Award this past Saturday, for his work on The Western Dairy Association’s “Earth Caretakers” video. The same project also took a top prize in the National Telly Awards. Click the link below to check out the video! RunawayTrain has completed production on three high-definition videos for AJA Video Systems. The videos will be on display at the National Association of Broadcasters 2009 trade show. Click here to see the videos and learn more about AJA. Runawaytrain is a winner of a 2008 NAMIC Excellence in Multicultural Marketing Award (EMMA) for our work on the Bollywood Hits On Demand “Diwali Promo”. Runawaytrain has just finished a Blu-Ray DVD project for the University of Colorado, our second Blu-Ray project in 2008. RunawayTrain Productions won a World Silver Award at this years 2008 NY Festival Film/Video Awards. Creative Director Brock Sherman, and Producer Natisha Walton, won for their work on the International Launch Campaign of the ARCHOS 605 Media Player. Check out a sample of the videos under the Film and Video category. Maketing Arts & Science wins Best TV Commercial at the Home Builders Association annual marketing “Bar” awards. The spot was produced by RunawayTrain. View the Concert Homes commercial under the Design & Animation category. RunawayTrain has completed production on two Flash presentations for Presbyterian/ St. Luke’s Medical Center. Working closely with P/SL’s Creative Director, George Abbott, RunawayTrain produced dynamic interactive web presentations for Bariatric Surgery and Choosing an OBGYN. Check them out under the Interactive & Web category. RunawayTrain has won a bronze Telly for International Channels marketing campaign, “What Are You Waiting For?” Shot on location in San Francisco, this hip piece was targeted towards young Asian Americans. You can check it out under the Film & Video category. In a co-production with Moxie Media Group, the bronze Telly was awarded for PCL Construction’s North American Safety Video. RunawayTrain Productions supplied project manager and producer, as well as graphics and animation. In a co-production with Short Sirkit Creative top honors were awarded for the Bell South MSOC Business to Business marketing video. RunawayTrain Productions provided art direction, graphic design, animation, and edit for the video. The gold key award was presented in an awards dinner held on April 28, 2006. In a co-production with Moxie Media Group we took home the bronze Telly Award for Big O Tires holiday campaign. RunawayTrain Productions supplied art direction, animation and edit for the commercial. You can see the spot under Design & Animation on our website.